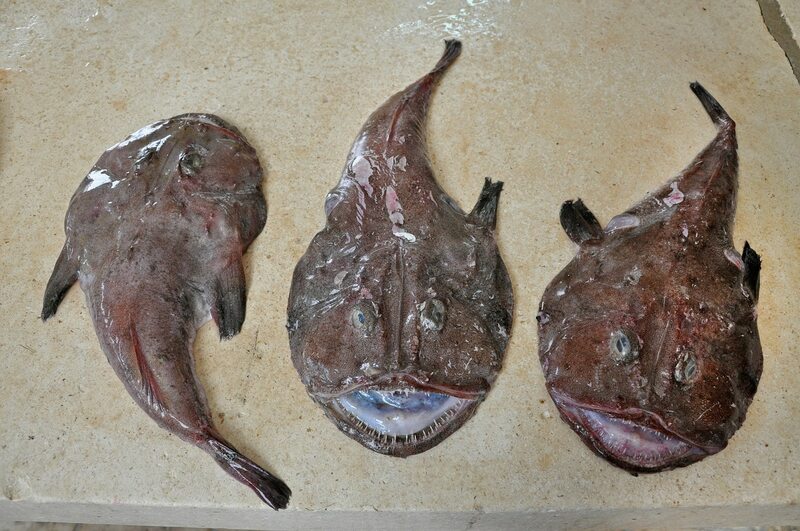 The monkfish is found in the Atlantic and Indian Oceans. It has a large, broad and flat head. The rest of its body seems to be just an appendage. The wide mouth contains jaws filled with bands of long, pointed teeth.